Most applications, web, desktop or mobile, handle some kind of data. When we are developing them we generally generate some sample data to play with and we forget to ever run the application without it. The problem is that the first impression people will get of our app is without data. And first impressions are important. I think that simple change it’s a good step towards making the application nicer in the no-data scenario, making people happier, as well as making people more productive in it, making the application more useful. Without that feature, my productivity would drop a 10%. I’m not exaggerating, that’s my estimation, as I recently have to code using TextMate instead of RubyMine. Before you send me the hate-mail, I know TextMate has a similar feature although I think not as advanced (not without plugins at least) but since the key shortcut was different, it was almost like it didn’t exist for me, so I experienced coding without that feature at all. 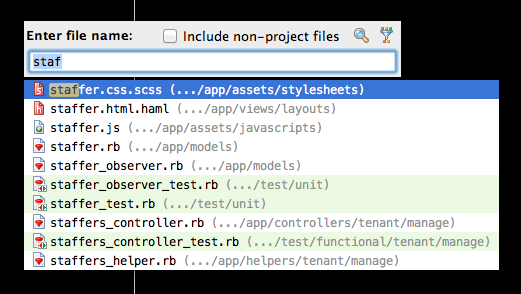 But since in a Rails projects most classes are in a file with the same name (but underscore instead of camel case) and the file dialog allows me to find views, wich the class dialog doesn’t, I never use the class dialog. 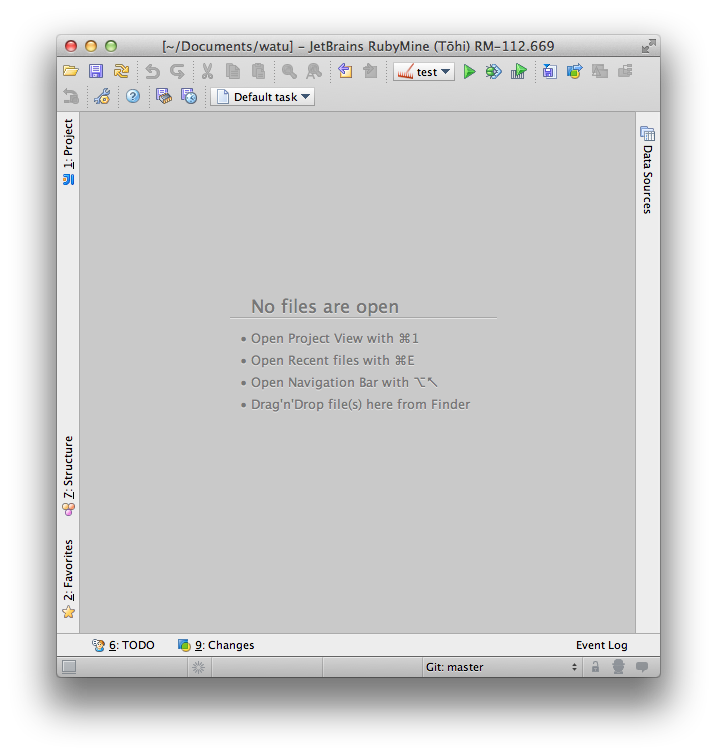 No… I’m not affiliated with JetBrains, makers of RubyMine in any way. I just love the tool and I wish more Ruby programmers would give it a try because I think they’ll also find it useful and the more people that are using it, the more resources JetBrains is likely to put into its development which ultimately benefits me. And they are cool guys, a pleasure to deal with every time I report a bug or ask for a feature.